In the year 2018, the world is doing more things online than ever before. We can access health records, manage our bank statements, and even apply for a mortgage—all online. Whether you are ordering your groceries or printing your photos, we are now putting more private information online than ever before. While there are so many benefits of these conveniences, sharing information online can put anyone in a vulnerable position, especially if that site isn’t secure. Cybersecurity is extremely important and the key to make sure your information stays private and secure. One of the first things that you can do to ensure that your site is as secure as possible is to get an SSL certificate. An SSL (secure sockets layer) certificate is used to encrypt the messages between the user’s browser and your website. Without this certificate, any information exchanged could be read by a third-party. This certificate is also used to verify the identity of the domain of a website—this will prevent fraudulent users from attempting to impersonate a website to obtain personal information from users. When you see a website that starts with https:// it means that it is secure. A website that starts with http:// is not. If you don’t already have one of these certificates, you may be surprised by the benefits that can come with this precautionary measure. If this alone doesn’t convince you that you need a certificate, here are four reasons why your website MUST have one of these SSL certificates in the year 2018. Google is Going to Be Flagging Websites in 2018- Google just announced that in the year 2018, the search engine is going to be flagging websites without an SSL certificate. Google is known for putting the needs of their users first and is taking the step to help Google-users feel more secure online. It Stops Information Theft. Information theft has become a major issue in today’s world. The chances of information being stolen is much higher if there isn’t an SSL certificate. With SSL the only person that can read the information transferred is the individual party it is intended for. The submitted information can only be read with an encryption key and is illegible to anyone who doesn’t have that key. Simply put, if you want to keep information on your site safe you need to have this SSL certificate. It Gives Your Customers a Sense of Security. The more people are learning about cybersecurity and information theft, the more the average customer is going to expect websites to have an SSL Certificate. If you want your customers to feel safe visiting your website you need one of these certificates. It showcases your professionalism and dedication to keeping their information secure. You Need it if You Are Accepting Online Payments. If your website is accepting online payments in any way, you need an SSL Certificate. It is a requirement for any website with an encryption of at least 128-bit. If you have an e-commerce site, you need to have an SSL certificate to take credit card payments. 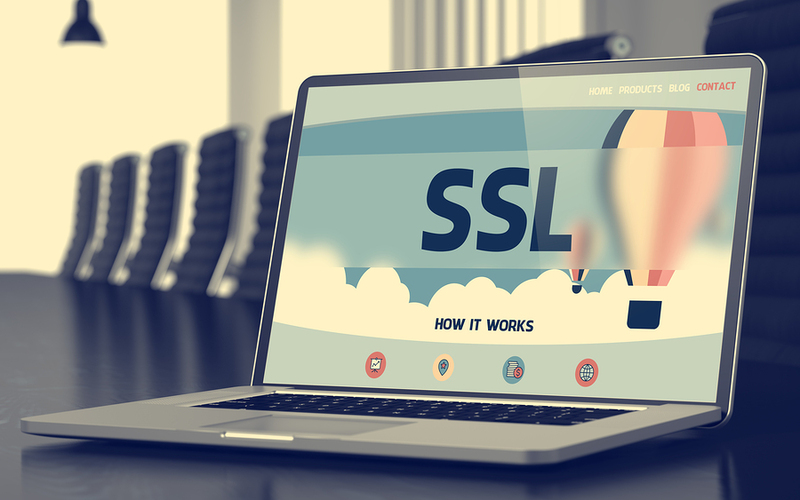 Interested in learning more about SSL Certificates and what they can do for your website, here at Life In Motion, we are ready to help with all of your website and online marketing needs.